I'm sure at this stage most of you reading this are familiar with the brand IT Cosmetics. I was introduced to them in the past couple of years due to their Your Skin But Better CC Cream which has become a bit of a cult beauty product amongst bloggers and YouTubers. I think I first heard of the CC Cream a couple of years ago from Lily or Anna and then again from the lovely Lorraine of John, It's Only Makeup. There are two versions of it, the normal one and then the CC+ Illumination which is infused with 'Drops of Light Technology' for a subtle touch of radiance. I have the normal one as I generally tend to add any illumination I desire with a liquid or cream highlighter afterwards however I think the Illumination version could be amazing for the Winter months so I think I'll try it out later in the year. This was at the top of my list of products to buy when I was in New York. I couldn't find it in Sephora at first, but when I asked a sales assistant if they stocked it she informed me it was in the skincare aisle. 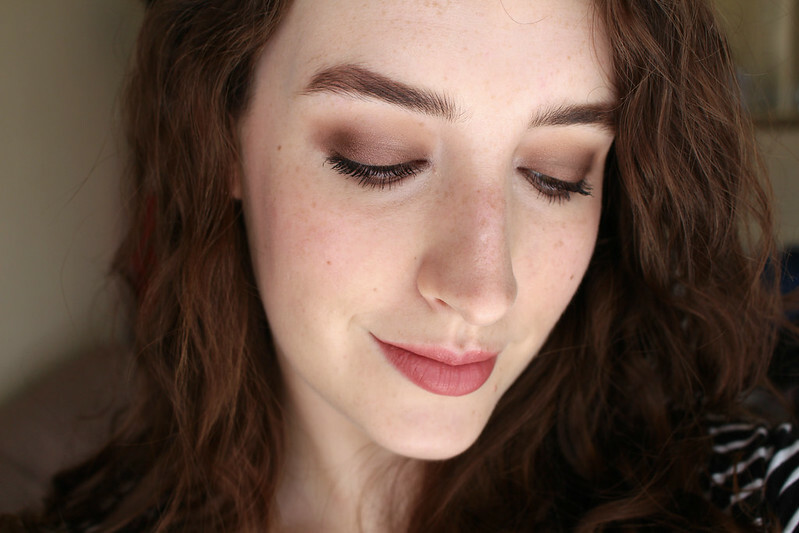 I thought it might be interesting (to some of you) to go into some detail about IT Cosmetics as they're a company I wasn't really all that familiar with until I started researching for this post. The company's co-founder Jamie Kern Lima founded IT (Innovative Technology) Cosmetics after working as a news anchor for years and having to wear layers of makeup to cover her Rosacea. She began working with leading plastic surgeons to develop clinically proven, innovative and problem solving makeup that will give you "compliments on your skin, not your makeup". I really like the story behind this brand, Jamie Kern Lima had an issue with her skin and couldn't find a product that suited her needs so she sought to create one. 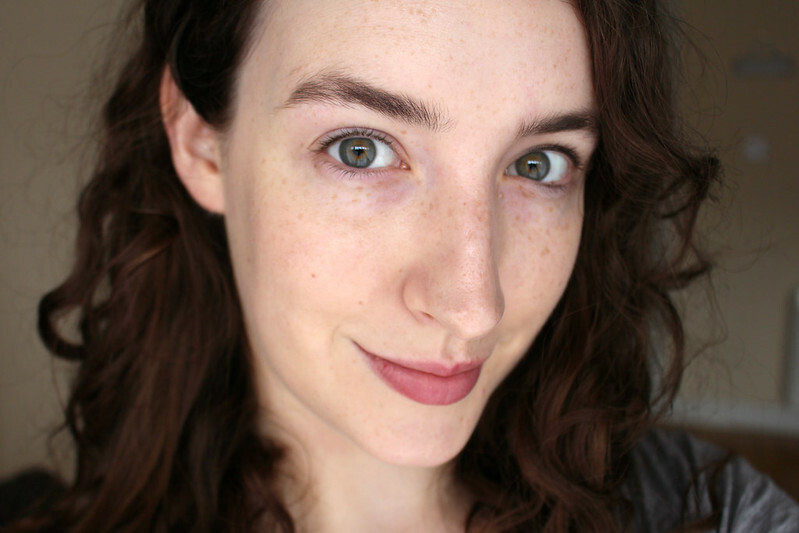 The second most viewed blog post I've ever written is a review of the La Roche-Posay Rosalie CC Cream which I can imagine is because so many Irish women (and men) suffer from Rosacea. One of the key ingredients in the La Roche-Posay CC Cream is Ambophenol which is an anti-inflammatory and helps to reduce the redness associated with Rosacea. 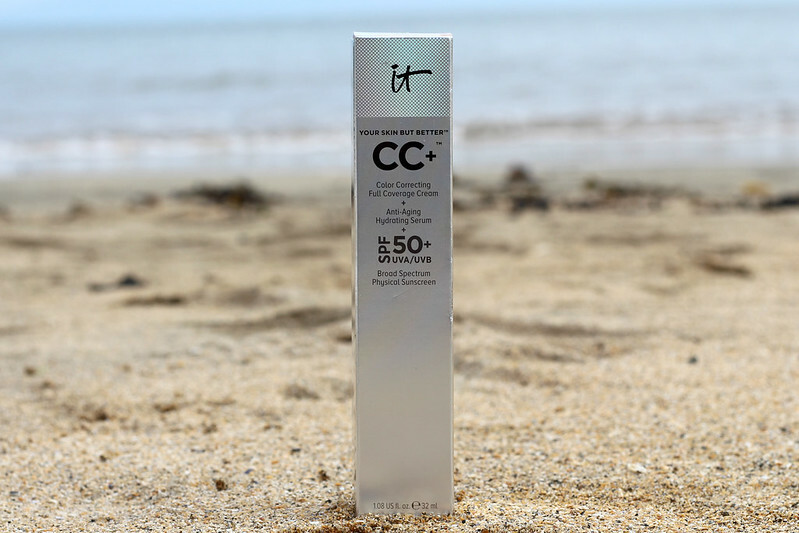 The IT Cosmetics CC Cream however uses Turmeric Root Extract which again is an anti-inflammatory and anti-oxidant that helps with rosacea, eczema and acne as it contains an ingredient that helps to fight bacteria that can lead to breakouts. So what is this CC Cream supposed to do for your skin? It's meant to offer full coverage, which I can attest to as it's easily buildable. I recommend applying thin layers and building them up as desired. 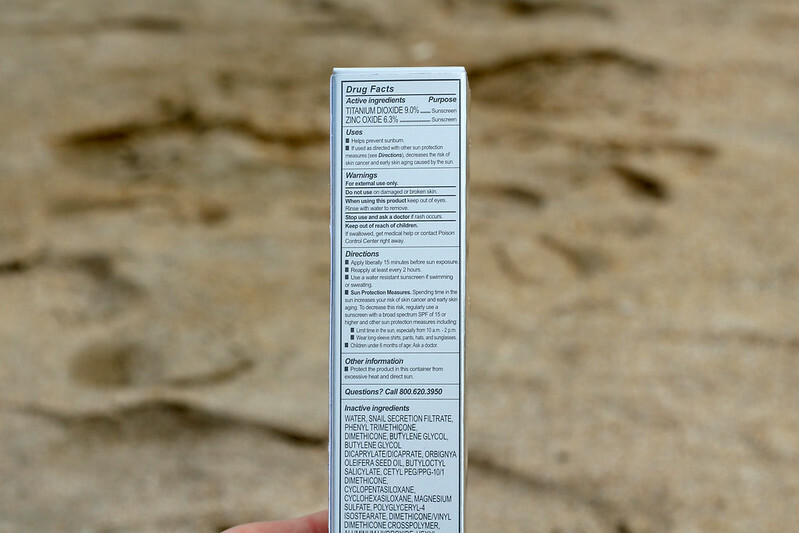 The formula is so hydrating that it doesn't look at all heavy even after a few layers. If my skin is looking a bit red or if I'm suffering from breakouts I can build this up in the areas of my face that need a bit of extra coverage. 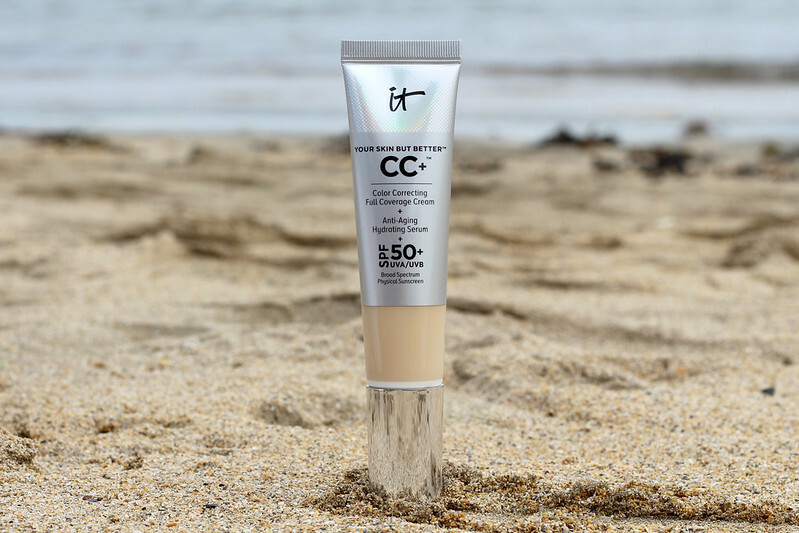 It has SPF 50 with UVA/UVB broad spectrum protection, it has a brightening colour corrector which helps to cover and correct any redness or pigmentation. It contains a hydrating anti-aging serum. One of the main ingredients is snail secretion filtrate, which sounds gross, but is a big ingredient in Korean beauty and skincare products. It contains ingredients that are very beneficial to the skin including hyaluronic acid (which restores hydration), it also stimulates the production of collagen and elastin as well as repairs damaged skin. So although the term "anti-aging" really annoys me, I can overlook it if the product contains ingredients that actually help to prevent pre-mature skin aging. 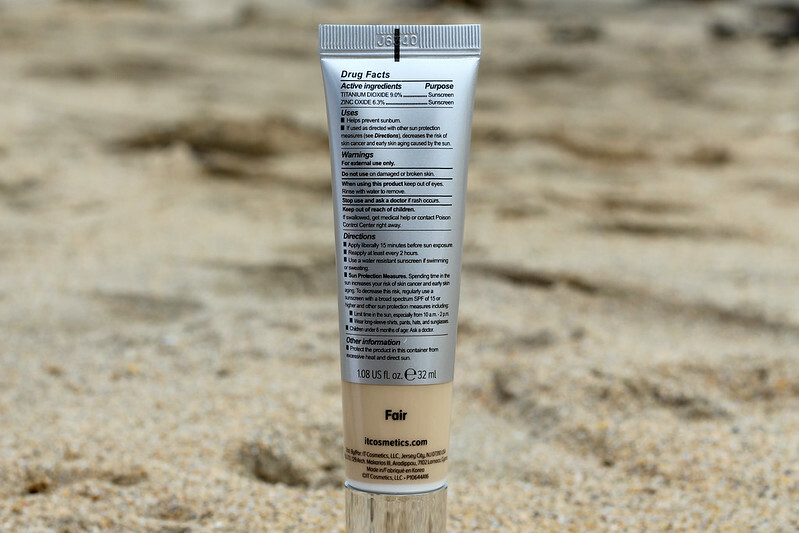 If you're going to be outside exposed to the sun, you need to remember to reapply this every 2 hours, one of the things about wearing SPF 50 is that it's easy to forget that you do need to top it up. This can also be done with SPF mists if you don't want to disturb your makeup too much. 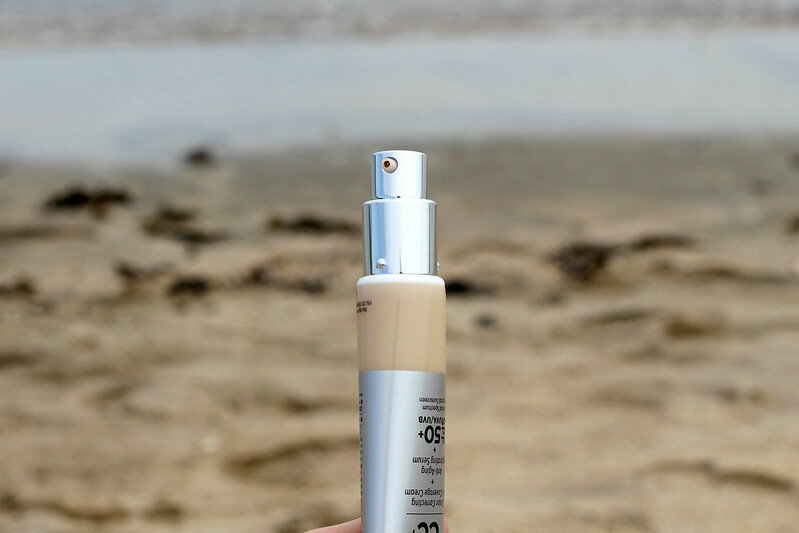 This would be an excellent choice for anyone with sensitive skin, rosacea prone, acne prone or if you have any pigmentation as it offers coverage, protection and prevents further damage. As you can see it comes in super travel friendly packaging, the tube is plastic AND it has a pump. It also comes in a very handy travel size version which is 12ml and $15, so it's perfect for holidays or if you just want to try out this product without committing to the 32ml full size that costs $38. It also has a light scent, nothing offensive, I actually quite like it. The one drawback that I can see is that the shade range is limited at only 7 shades, they actually only recently added a couple of new shades to the range. 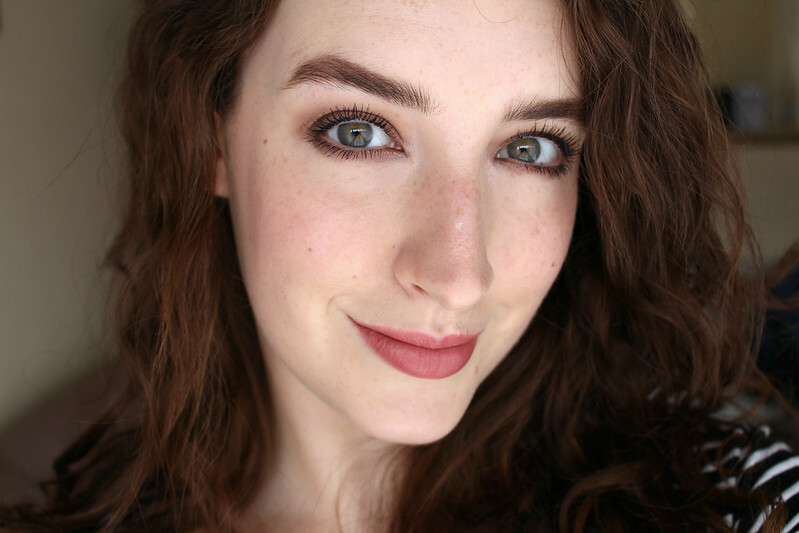 I have the very lightest shade Fair, which is a perfect match for me but as with most brands, they could definitely have one or two shades even lighter especially as I feel like Irish women (and any women with very fair skin) would love this product because of the excellent correcting and protecting ingredients. In the photos above I've only applied one layer just so you can get idea of what the coverage is like. It blends like a dream, I tend to just use a brush but I'm sure you could use a Beauty Blender for a more full coverage finish. I find it lasts very well on my combination skin. I've tried it without powder and I did get quite oily on my t-zone during the day which is normal for me but if I use powder on those areas it lasts a lot longer without needing to blot. 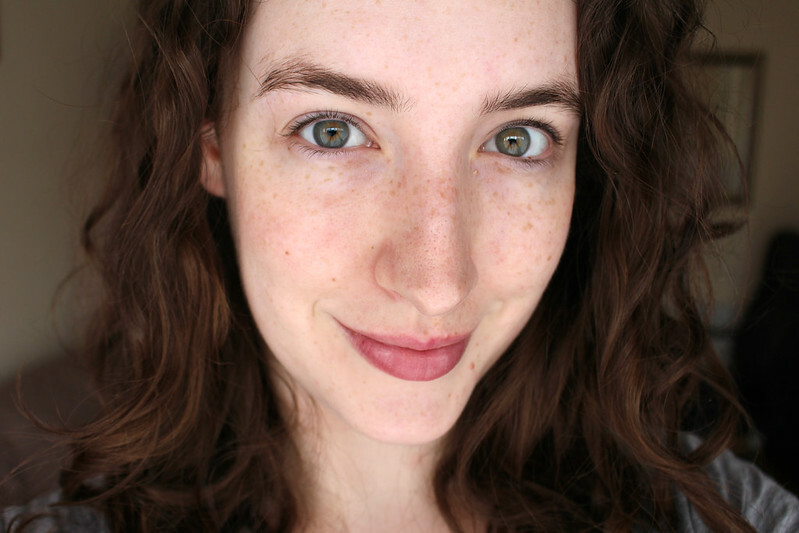 I'd imagine if you have oily skin you might need to use a magnifying primer or powder all over. But like I said already if you're not sure but you really want to try it out, that 12ml travel size is a great option. I absolutely love this, I'm so impressed with everything about it, the ingredients, the coverage, the packaging and the shade match for my skin. I'll definitely be repurchasing it once I run out. IT Cosmetics are now available from Selfridges and QVC in the UK and Sephora in the US priced at £30/$38. At the moment the only site that stocks IT Cosmetics and ships to Ireland is Beautylish which is great because I didn't think we could get hold of them here at all. I'm dying to try the Bye Bye Under Eye Anti-Aging Concealer and the CC+ Eye Correcting Concealer as well as lots of other products. So if you have any recommendations of their products for me to try next, please let me know. Have you tried this yet or are you interested in trying it?